In our new episode of Focus, we see how Senegal is reforming. Over several years, efforts have been expended to boost the entrepreneurial scene and business climate. The goal is an emerging Senegal with sustainable growth which benefits everyone. But how promising are the country’s prospects? Euronews reporter Serge Rombi visited areas outside the capital that were being developed: "Almost deserted 5 years ago, this area is becoming a real capital at the gates of the capital, with housing, administrative, health, education, recreation infrastructures, and this international industrial platform, particularly dynamic! " He visits a textile factor which has received an investment of over 3.5 million Euros. Its resulted in 300 people being recruited and trained. “There’s a good reason that this Chinese company has chosen the special economic zone of Diamniadio. It has many advantages - tax exemptions and customs facilities. It also benefits directly from the new transport infrastructures,” said Rombi. 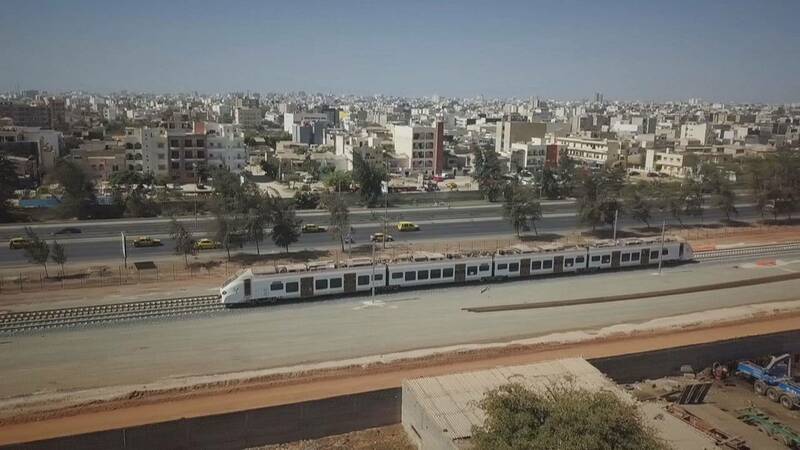 Euronews spoke to Mohamed Hady Sar – the head of human resources and C&H garments Senegal about the importance of good transport connections. "We export 80% of our produce, so it's very important for us to have flexibility on the roads, but also access to the port and the airport." The new TER (train)- which will soon be launched - its already impacting the country's economy. A Senegalese SME called ZENITH has been contracted for the construction of the line that will connect Dakar to Diamniadio. It will then extend to the new airport Blaise Diagne. Here are edited excerpts from a conversation between Serge Rombi and Alioune Fall, the CEO of ZENITH, discussing the effects of the contract. ROMBI How will this contract change the company? ROMBI Has it helped develop expertise? ROMBI How many jobs were created? For administrative formalities, this SME - like many other companies in the country - now uses a paperless payment and tax return system. Euronews spoke with Abdoul Aziz Sakho – an accountant at Zenith. ROMBI What is the benefit of a system like this for a company like yours? ROMBI and is it reliable? Euronews spoke to Business Lawyer Coumba Seye Ndiaye who told us of its positive effects on the economy. "We are no longer waiting for 3 months, one year, two years to conclude a court case, and within a maximum of 3 months we have a binding court decision." There are no signs of growth slowing. At least not according to Mountaga Sy, the head of APIX, an Agency for the promotion of investments and major works is confident that the country will continue to reform. The country just keeps on attracting foreign investment. We spoke to an Indian-owned company that has invested 400 million dollars to revitalize the Chemical Industries of Senegal, a company that was struggling a few years ago. And the results speak for itself: the company now has first-rate performance. "Today, all the conditions are right to invest in Senegal, the State of Senegal will respect the commitments made with Investors." Alassane Diallo - CEO, Industries Chimiques Du Senegal. Between 2012 and 2018, Senegal's growth increased from 4.4 to 6.8% per year. The country is aiming for emergence by 2035 and seems to be succeeding.